If you’re still running Windows 8.1, be advised: Microsoft shut down mainstream support a week ago. But there’s still a last-ditch upgrade path: Microsoft’s assistive technology loophole, which closes in 24 hours. Again. 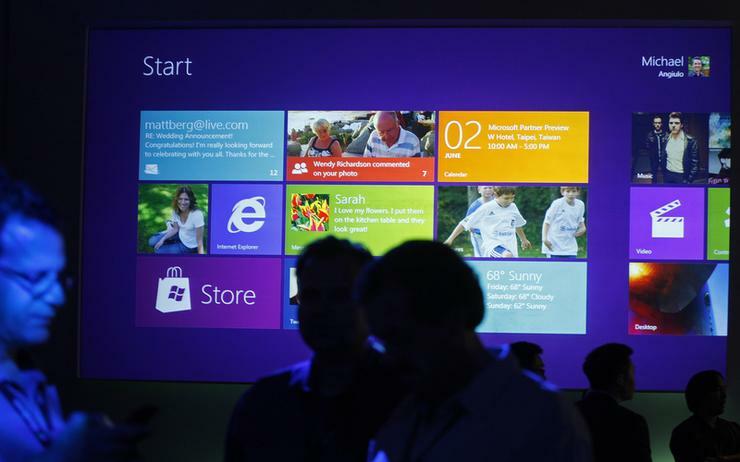 The tech giant ended mainstream support for Windows 8.1 on 9 January, five years after the operating system’s debut. Essentially, it’s dead; for the average consumer, Windows 8.1 will remain forever unchanged, with no new features or bug fixes. Instead, Microsoft has migrated the OS to “extended support,” which will only provide security updates for another five years, until 2023. In Microsoft’s world, consumers would have already migrated to Windows 10, a modern OS with big fixes, patches, and period updates. And while the company gave users a one-year windows to freely upgrade to Windows 10, NetMarketshare shows that there’s about seven per cent of users who refused or simply forgot to do by the July 2016 deadline. Well, you have one last (?) opportunity to do so. A closeup of the reminder on Microsoft's assistive-technology website, which you'll need to access to kick off the free upgrade to Windows 10. When it implemented the one-year deadline for a free upgrade to Windows 10, Microsoft left open what some call the assistive-technology loophole: those who used assistive technologies, such as screen readers or a Braille keyboard, would have extra time to upgrade. What made the loophole so attractive is that it ran on the honor system: if you had ever used Windows 10’s Narrator function, or dictation, you could theoretically argue that you had used Microsoft’s assistive technologies and qualified for the upgrade. Microsoft simply didn’t check. Microsoft originally warned, however, that that loophole would only remain open until 31 December 2017, then close forever. As it turns out, Microsoft held open the upgrade window a bit longer: until 16 January. Can we say for certain whether 16 January is the absolute, drop-dead, pinky-swear, final cutoff for the assistive upgrade? No, we can’t. It’s possible that Microsoft really wants users to upgrade to Windows 10, and is using the loophole as an perpetually-extensible back door of sorts to allow upgrades. It’s also possible that its moment of mercy will end soon. How do you take advantage of it? Simply visit Microsoft’s assistive-technology site and follow the instructions—which basically entail clicking the big “Upgrade now” button. We also have an additional guide on what you’ll need to do before you kick off the upgrade to Windows 10. What this means for you: While it’s true that Windows 8.1 will continue to receive security hotfixes for another five years, it’s hard to make the case to remain on Windows 8.1, an OS that lacks the robustness or security of Windows 10. If nothing else, Microsoft claims that you’ll see a higher degradation of performance from the Meltdown and Spectre patches than you will on more modern machines. If you do own a Windows 8.1 machine, play around with its dictation functions for a bit, then take advantage of the free upgrade offer to Windows 10.